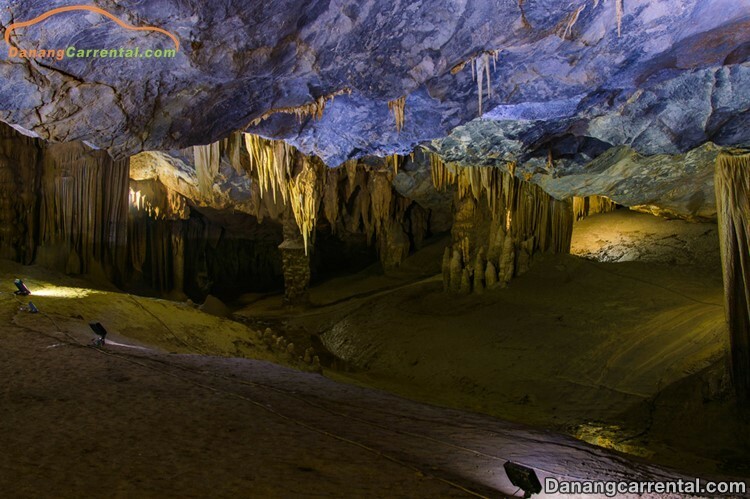 Thien Duong Cave or Paradise Cave is one of the most beautiful caves of Vietnam and the world. 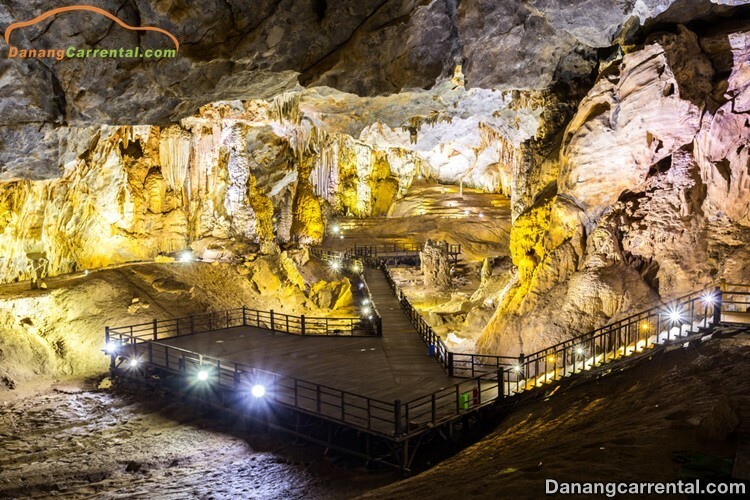 Together with Phong Nha Cave, Thien Duong Cave is the most attractive destination in Quang Binh. Likely as the name of Thien Duong, when you come here, you will think like yourself to step into a completely different world, extremely new and full of amazing landscapes – all created by the hand of “mother of nature”. How to get to Thien Duong Cave, Quang Binh? 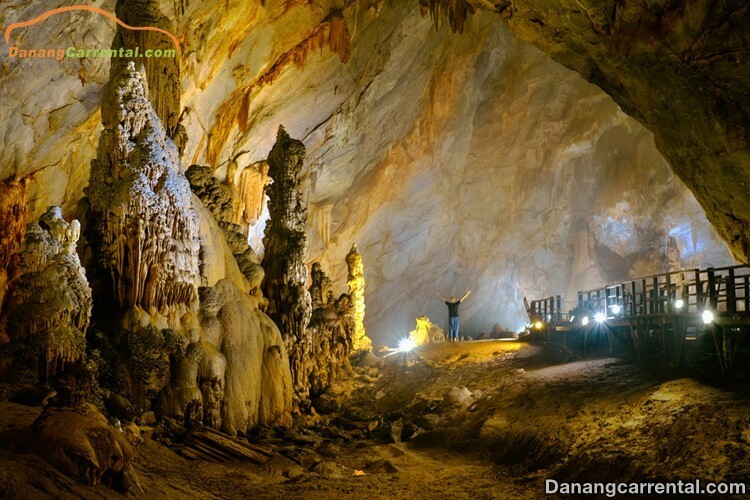 How long is in Thien Duong Cave Travel? 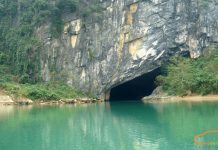 Phong Nha also retains the original nature so if you are an adventurer who likes adventure, you can not miss this place. 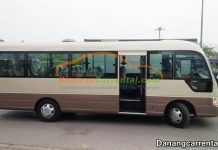 Kindly to refer to the experience traveling Thien Duong that Kha Tran car rental sharing below to have the most complete tour in Thien Duong Cave. 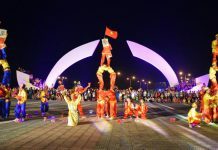 Vietnam Airlines, Vietjet Air and Jetstar Airlines operate flights from Hanoi and Saigon to Quang Binh with fares from 400,000 VND to 1,500,000 VND. Moving to Quang Binh by rail is the choice of many visitors by the safety, reasonable fare. Quang Binh travel by train, to Dong Hoi station is also the choice of many visitors by the safety, reasonable fare. 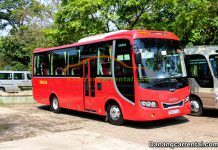 You can also pick up a passenger car, or rent a car to go to Thien Duong Cave on a large group. If departure from Da Nang, the time to travel to Quang Binh takes about 5 hours. 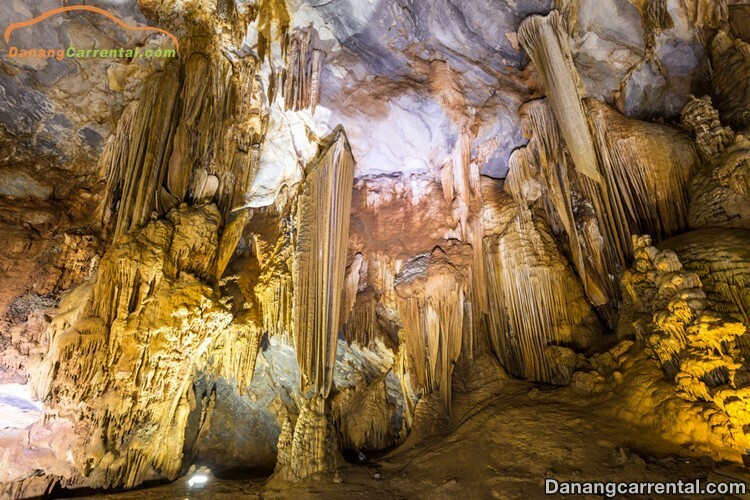 Thien Duong Cave is located in Phong Nha Ke Bang National Park, so you can go by motorbike or rent a car to Bo Trach then go through the forests to explore and visit the Thien Duong Cave. From Dong Hoi, go straight on Ho Chi Minh trail about 30km and then you will go to the junction for Phong Nha, Ke Bang. From the turn of the turn you go another section of the road to the Indochina T-junction you turn left direction Sea Beach 16 km to the resort is construction. You park the car there and then go for a further 1.5 km and climb 524 steps to reach the gateway of Thien Duong Cave. You can rent a motorbike taxi to the foot of the mountain, which costs about 60,000 VND , followed by a climbing 524 steps up the mountain that also requires you have a good healthy. Take the breathtaking scenery from the Ho Chi Minh T-junction to Thien Duong cave. This is also an area with many undeveloped caves so the feeling of cool, windy will make you remember forever unforgettable. If you choose to explore the Thien Duong Cave, you should choose the time from April to August. Because of this weather favorable weather, less rain and suitable to go through the forest, explore the cave. You can spend about a day to admire the stalactites and miraculous artifacts of nature in Thien Duong Cave. Then, spend one or two days exploring Phong Nha – Ke Bang National Park – one of the most unique and rich ecosystems in Viet Nam. You can combine the sightseeing of Thien Duong Cave and Phong Nha Ke Bang National Park in the same time. Thien Duong Cave is an extremely famous natural wonder in the heart of Phong Nha – Ke Bang National Park. The length of up to 31.5km to the height of 40 to 100m and the width to 150m. It’s very cool temperatures range from 18 to 19 degrees Celsius. Heavenly Paradise has many caves that run after each other, along with numerous stalactites for millions of years, flowing from the ceiling of the cave to the ground with countless strange shapes. Just set foot in the cave you will be overwhelmed by the sparkling, fanciful beauty of the stalactite system here. 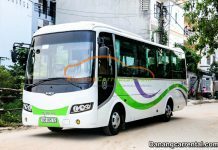 Fare to Thien Duong Cave: 250.000 VND / person. Before you enter the fascinating Thien Duong cave area, you must pass the first challenge of conquering 500 steps stairs of stone along the mountain slopes. After the stone steps, you will admire this wonderful cave by enamel under nearly 1000 meters of wooden stairs winding in the cave. 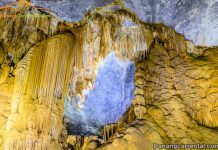 Formed through the hundreds, thousand years of stone pillars, stalagmites in the heart of Thien Duong Cave which created a beauty like the heaven. Along with the large stone pillars, Thien Duong Cave also has an underground system running underground. In some sections, you can go by kayaking to discover and enjoy the stalactites. It is the named as the place of reconciliation between heaven and earth, you will see the glow of light from the ceiling to the bottom as the light shining down from heaven. There is no food service and there are no snacks available so you can bring snacks during your sightseeing trip. If you want to find a stop to enjoy the specialties Quang Binh with good prices should stop at the Mooc waterfall restaurant with a fee for a meal at about 100,000 VND / person. 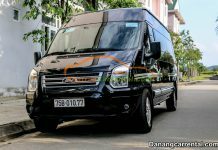 For the most perfect experience, visitors can use the professional car travel service in Kha Tran Car rental to visit the Thien Duong Cave and other famous landmarks and caves during the journey. We hope to bring you an interesting information in your tour to Thien Duong Cave. For more specific advice or rent cheap car to visit famous sites in Quang Binh, do not forget to contact Kha Tran Car rental via hotline Ms Anna: (+84) 91 651 02 01 or Ms Katharine: (+84) 34 797 67 89. Wish you have a fun trip with many memorable experiences!